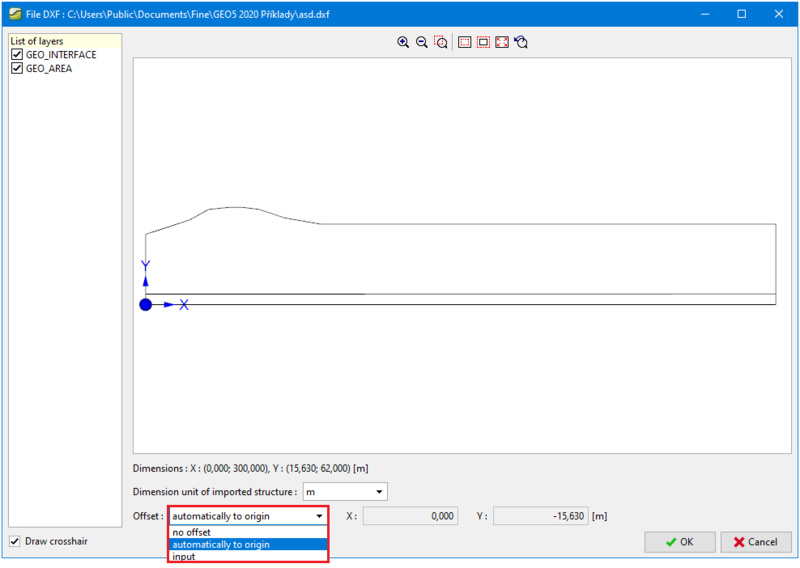 In the dialog window DXF Import the parameters of the DXF import are specified. In the upper part there is the preview of the imported data. In the left part the layers to be read can be selected. In the lower part the unit used when creating the DXF file can be specified. The program attempts to estimate it but it is always necessary to check whether the unit is specified correctly. If the program does not allow to input arcs and circles, the way of splitting it into line segments can be specified.